1,400 individual pocket springs respond to your body to provide outstanding comfort and support. Generous layers of deep sumptuous smooth silk and pure new wool fillings. Natural fillings are one of the best for comfort, cushioning and temperature regulation. The mattress contains comfortable and breathable Eco Comfort Fibres which are proven to reduce heat build-up through the night. A luxury, quilted soft knitted fabric surface provides the perfect sleeping surface. Choose between a firm base for a supportive foundation or an indulgent sprung base for superior comfort. 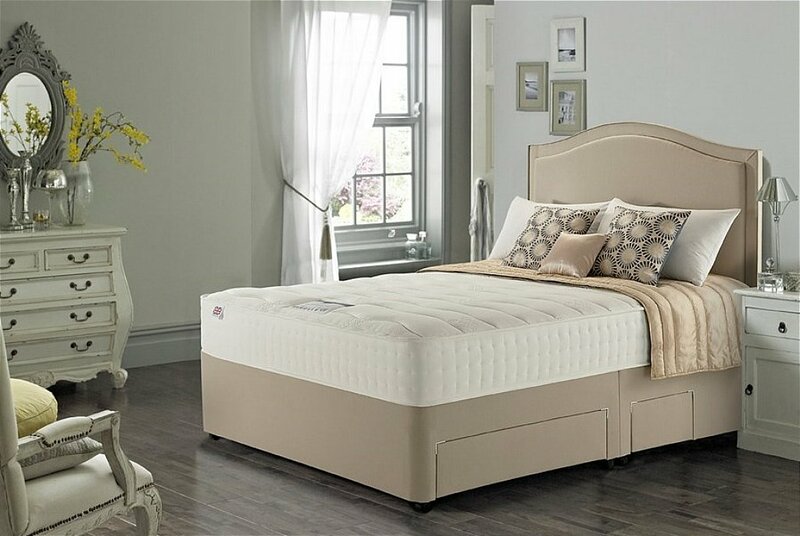 I would like more information about Silk Luxury 1400 Divan Bed by Rest Assured.